Most of the buildings in which we live are thermally inefficient. Much of the energy we use to heat them escapes, providing little benefit, and costing us money. Domestic energy consumption accounts for approximately one third of UK energy demand and, also for the largest peaks in demand. Of that, space and water heating account for approximately 80% of total domestic energy consumption. One study has shown that we need to reduce domestic demand by 57% if we are to transition to a decarbonised energy system and reduce global warming to an 'acceptable' 2C. By reducing the energy we waste in our homes we can make a positive contribution to reducing global warming, whilst also saving money on bills, and improving our comfort and wellbeing. The aim of the CHEESE Project is to reduce domestic heat losses. 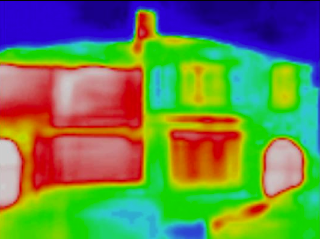 We do this by performing detailed surveys of homes using low-cost thermal imaging equipment to identify areas where simple but effective remedial action can be taken. It is estimated that 30% of heating losses are due to drafts, which can be fixed cheaply and easily when they have been identified. We record energy consumption before and after a survey, to verify the impact of our work. In the 2015/16 winter we completed a successful pilot of the CHEESE Project in Bristol and conducted 30 internal home surveys in the wards of Bishopston, Cotham, Redland, Easton and Lawrence Weston. This brings us to a total of 50 surveys since March 2015. The pilot surveys were led by Brian Harper, a thermal imaging expert and founder of the Transition Malvern Hills Energy Tracers, the project on which the Bristol CHEESE Project is modeled. This gave us the opportunity to road test our new software, which had been in development for over a year, to use Flir One thermal-imaging cameras for our surveys. 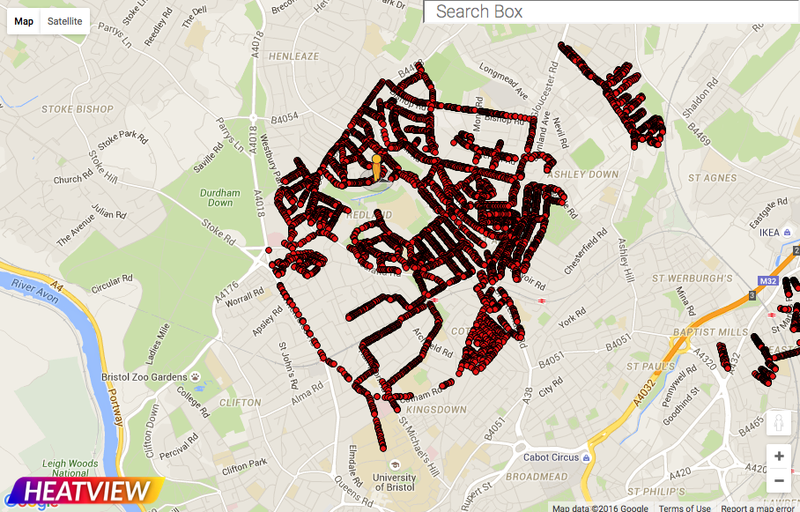 As well as the internal surveys, we also captured a total of 11,000 external thermal images of domestic properties in the same wards for our Google Street View-style Heatview map, covering Bishopston, Cotham, Redland, Easton and Lawrence Weston. 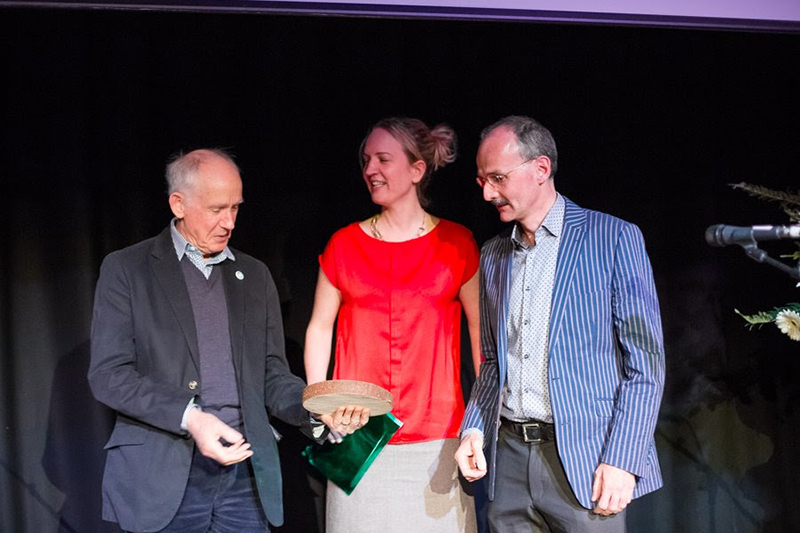 For the achievements of the pilot, the CHEESE project won the Volunteers for Energy Award at the Bristol Green Capital Partnership Green Volunteers' Awards 2016.
we put together a new website (this one), which also provides facilities to manage our survey organisation, results and feedback. Following this groundwork, we delivered 56 surveys in and around our target wards, in wide-ranging types of buildings and socioeconomic groups of householders. During this work, we carefully documented many of common faults and remedies and we plan to make this information available to the 200,000 households in Bristol. In winter 2017/18 we want to increase the scale of the CHEESE Project to reach even more homes, and we are keen to establish further partnerships in Bristol, and possibly elsewhere in the UK, to enable us to do this.